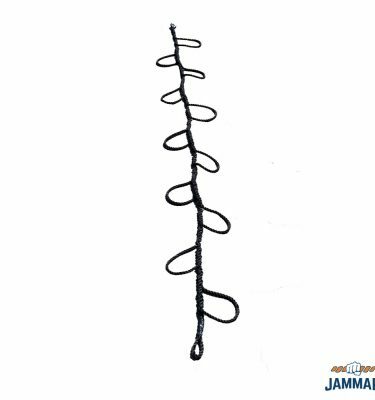 Jammar’s Economy Rope Ladders (RLEC-1212) are handmade using quality 1/2″ diameter poly Dacron rope connected to 1.25″ diameter 12″ PVC dowels spaced every 12″. Rope eyes on top and bottom for attachment and anchoring. 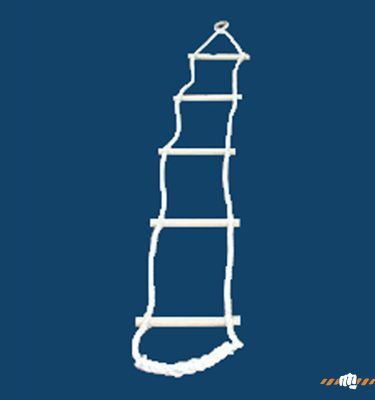 Jammar fabricates several styles of rope ladders. We use a premium poly Dacron rope selected for its hard lay twist and superior strength and weather resistance. We also use domestic 1-1/4″ hickory hardwood dowels. 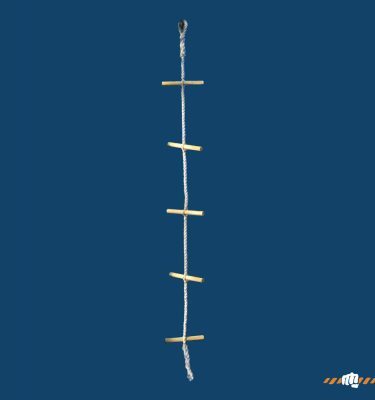 Dowels are lashed only using a waxed nylon twine. Safe working load should be considered 250 lbs with the exception of the firecracker ladder which is 200 lbs SWL. 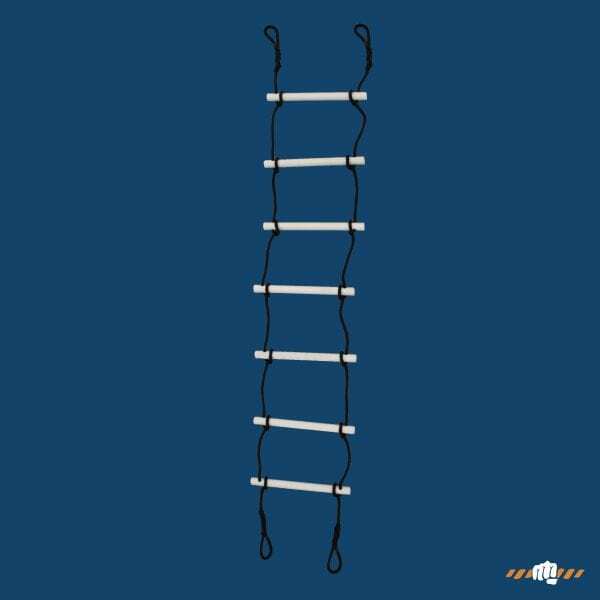 Up to 8 foot ladders are priced at the 8 foot charge and please add the appropriate ‘per foot’ charge for ladders over 8 feet. Sizes are approximate. 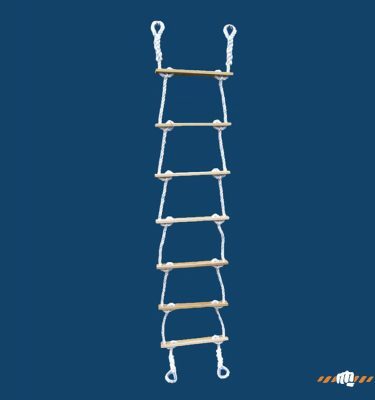 Rope ladders are supplied with general installation instructions, care and use documentation. 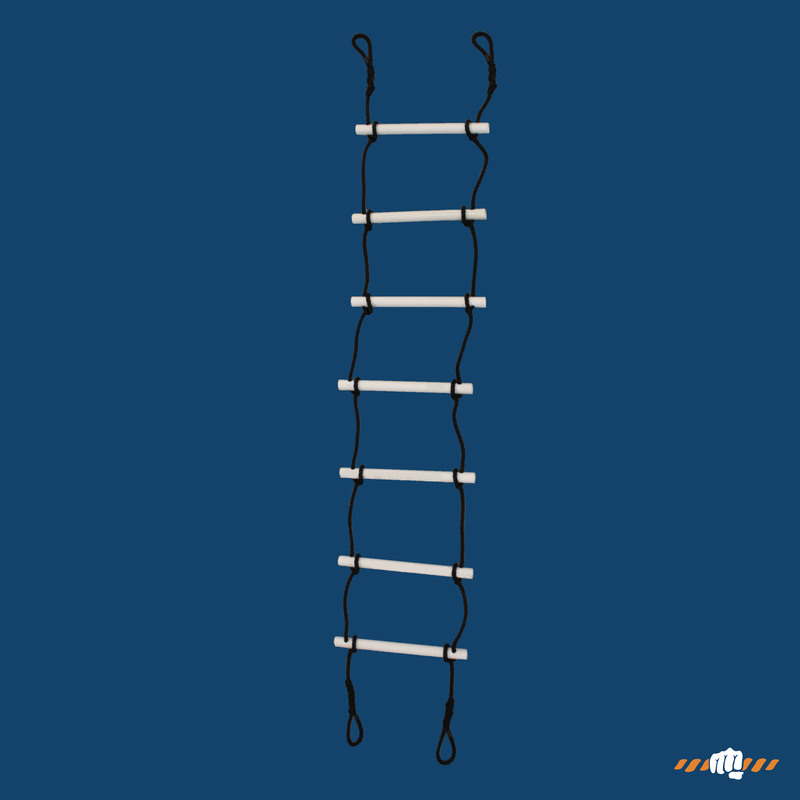 Ladders intended for vertical ascent and descent. Use other than intended may be hazardous and is prohibited. Any and all climbing activities require proper mats, spotting and supervision when using. Specific soft landing surfaces and supervision required and possible belaying for climbing heights over 8 feet. Mats are probably the single most important ingredient to any activity using equipment to prevent serious injuries when accidents may occur. Having several thick landing mats placed around nets will make instruction much easier and more innovative. These mats are versatile and can be used in many capacities. Sizes are for pricing purposes only and all ladders are custom made and non returnable. Custom sizes available.